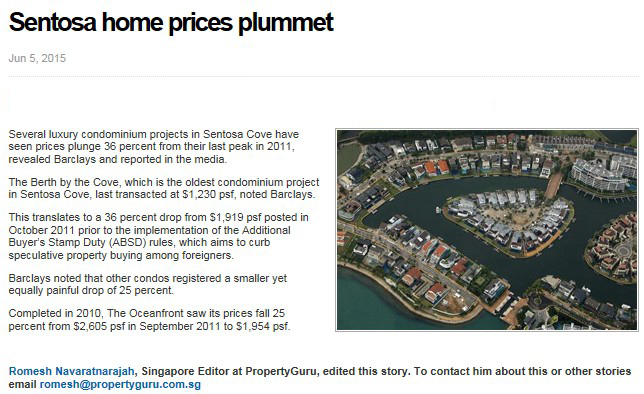 Property prices of several luxury condominium projects in Sentosa Cove have plunged 36 percent as compared to their peak in 2011, revealed Barclays . The last transacted price in The Berth By The Cove was $1,230 psf . Point to ponder: How does the fell in property prices in these condominium projects affect the market values of similar projects in the vicinity?